Hi friends! Today, I thought I would share a few DIY projects I have made using one of my favorite crafting tools…a jigsaw! Yes, technically it is a power tool, but it is so easy to use, everyone should give it a try. A jigsaw is the perfect multi purpose tools for a DIYer. They are affordable, and simple to use. I purchased an inexpensive Ryobi jigsaw from Home Depot for less than $30. I also use inexpensive sheets of MDF (medium-density fibre board) for my projects, and my jigsaw cuts them quickly and easily. Jigsaws have a small, thin blade and are made to easily cut curves. In fact, this curvy frame was the very first project I did with my jigsaw after seeing Stacy’s Funky Frame Tutorial from Not Just a Housewife . I drew a funky shape onto a piece of MDF and just went for it. 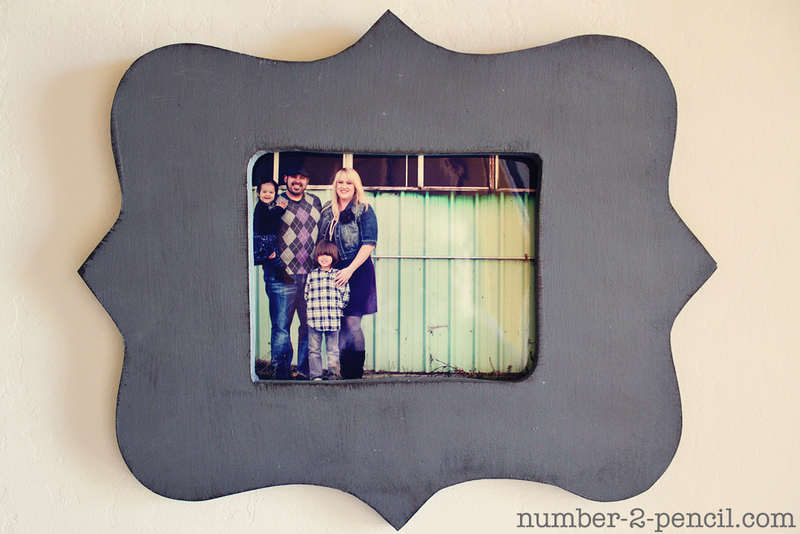 I sanded, painted, and glazed it and taped an 8×10 picture of our family to the back. 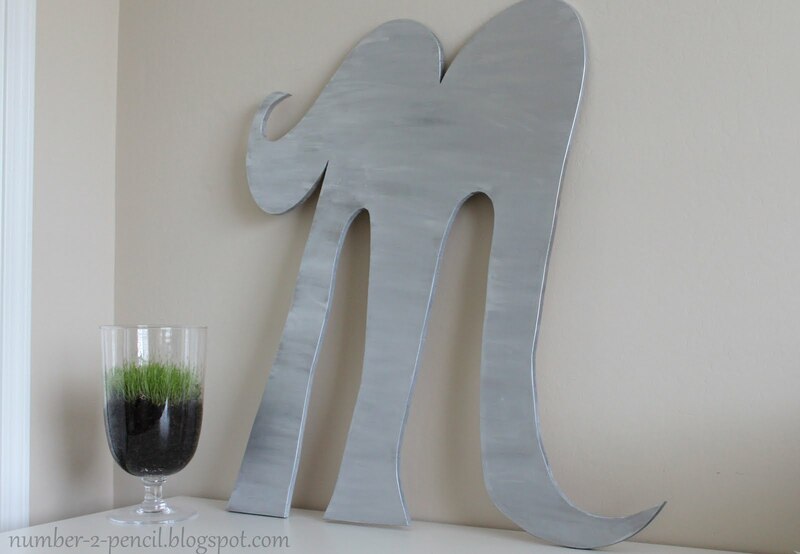 This oversized letter was a quick and inexpensive way to add a big statement to our bathroom makeover. 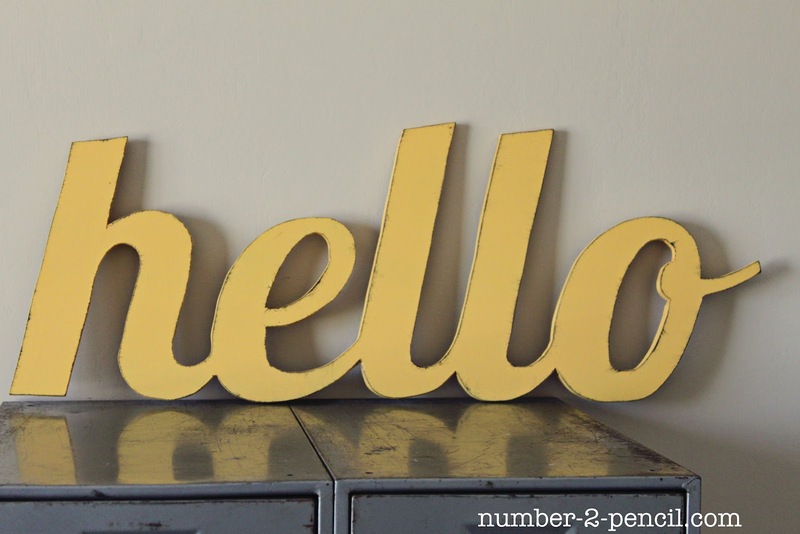 I used my Silhouette machine to cut a big vintage style hello sign out of card stock, then used the card stock as a template for my jigsaw. With my latest project, I got creative with my jigsaw and some chalkboard paint and made a year round wreath for our front door. 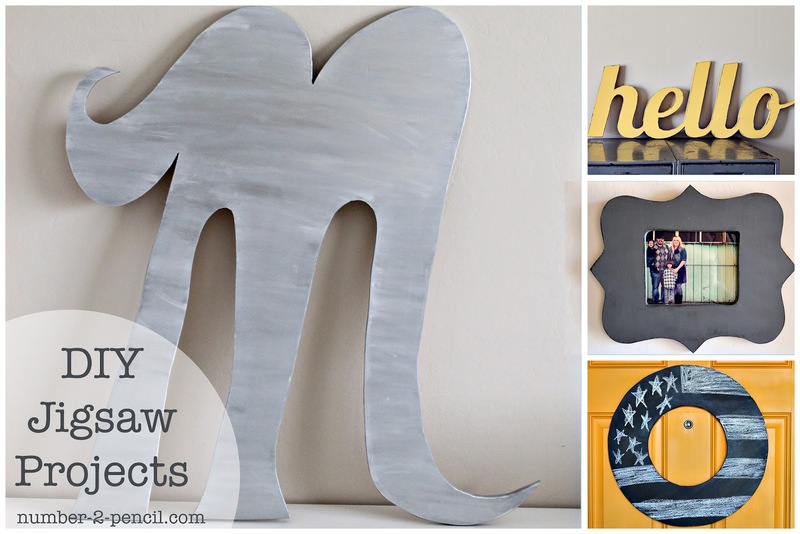 All of these jigsaw projects are so quick and easy. In fact, I made each of these during my toddler’s nap time! 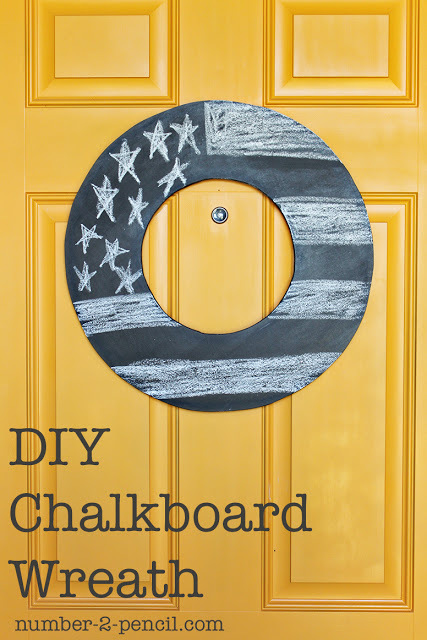 If you are itching to get creative with a jigsaw, I did a step-by-step tutorial for my vintage style hello sign and have even more tips on my chalkboard wreath tutorial. I wanted to invite you to my blog. I just began a new linky party entitled “Friday’s Favorite Pin” where you link up your favorite pin of the week. And yes, it can be your own creation.